Singapore is one of the most urbanized, diverse and developed city-states in Asia and it will surely amaze you right from the start. Every corner of the city has something special to offer and the untouched nature together with the tall buildings are perfectly combined in a unique city that will make for the perfect vacation. 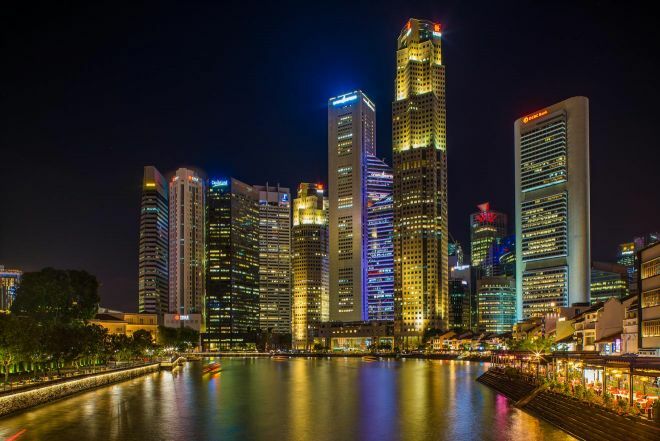 Singapore is a unique mix of big and small, temples and luxury hotels, malls and traditional markets and more! 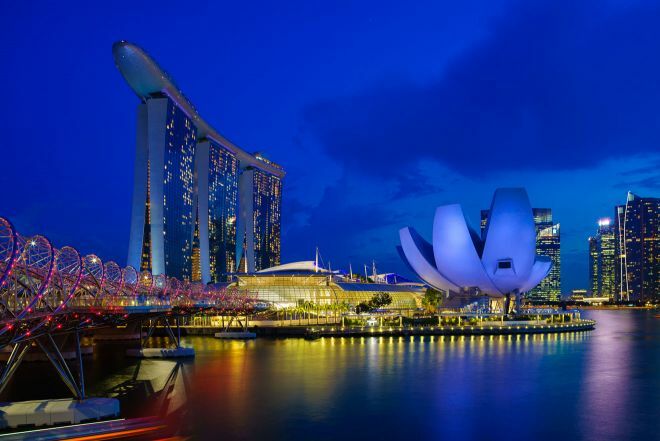 If you are planning your visit to Singapore in the nearby future, prepare yourself to be amazed as you pass through all the different areas of the city. You can check out my article about 13 best things to do in Singapore. You will feel like you are visiting several different countries in just one city! Even though Singapore is not a big country-city, it offers many choices when it comes to accommodation. You can choose from different areas and neighborhoods depending on your personal preferences, budget and the things you wish to visit in the city. 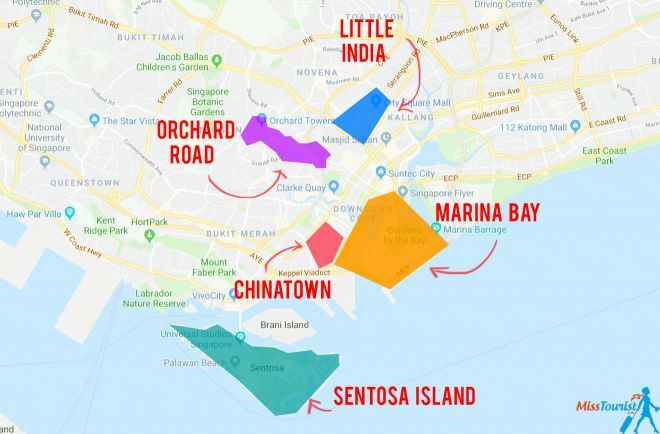 If you are wondering what is the best area in the city and where to stay in Singapore, you will find my recommendations below, together with some carefully chosen hotels, all sorted by price range (budget, middle-priced and luxury) for your convenience. Each area in Singapore has its own personality and vibe. Because Singapore is such a popular destination for tourists and business travelers alike, the hotels are booked really fast. So my recommendation is to book as far in advance as you can, as the prices are never going down! If you want to be astounded by fabulous skylines, rooftop pools, world-class hotels, restaurants and high quality entertainment, Marina Bay is your place to be! 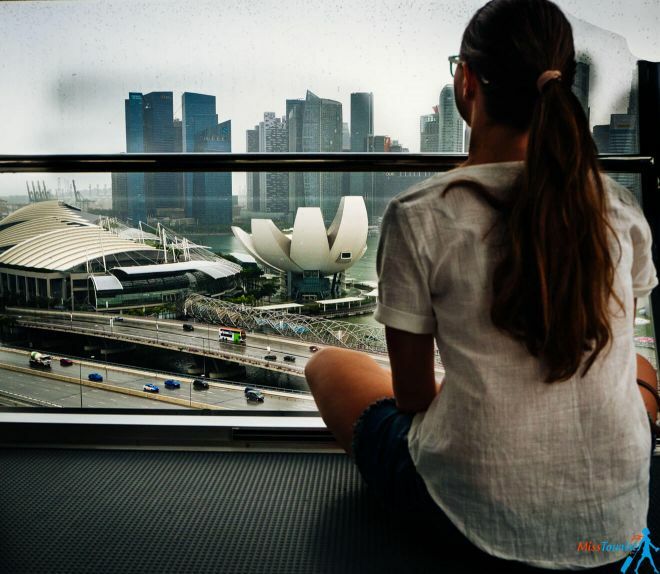 If you are visiting the city for the first time and want to make the best out of your experience there, Marina Bay is definitely a must-visit and the best location to stay in Singapore! This is one of the city’s most famous and desirable neighborhoods! It is located right in the heart of the city and you may have already seen epic pictures of its skyline in magazines and travel guides. You will have everything your heart desires there: from top quality restaurants and bars to shops, casinos, pools and amazing views over the city! Some of the must-do’s while you’re there include taking a picture on top of the Sands SkyPark, visiting the ArtScience Museum, going to Merlion Park where you can see the symbol of Singapore – a half-lion, half-fish statue called “Merlion”, and, of course, paying a visit to the world-famous Gardens by the Bay! 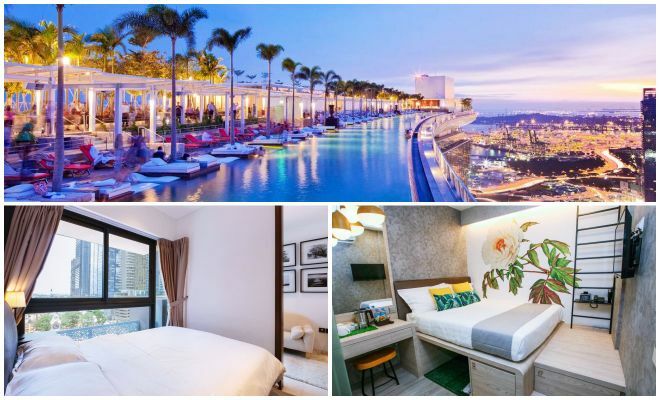 NOTE: With the exception of Marina Bay Sands Hotel (the one with the famous infinity pool), the most recognized hotel of the country, the rest of the hotels I am recommending are in the surrounding area, as close to Marina Bay as possible. NOTE #2: Another iconic hotel in Singapore is Raffles Hotel, which unfortunately is closed for restoration and will open in 2019. Regardless if you stay there or not, you should definitely at least pass by it, as it preserves a piece of Singapore’s history. The hotel was opened in 1887 and is one of the few 19th century hotels in the world that are still open. Again, as this is one of the most famous areas of the city, the rooms are selling out ultra-fast, so make sure to book yours as soon as you can. Marina Bay Sands is iconic and one of the top hotels in Singapore considered even a symbol of the city! You will be impressed by its superb infinity pool, 20 restaurant options, and cool casino. The rooms are absolutely gorgeous and it provides all the facilities you may need to feel like a real queen/king during your stay in Singapore. The Fullerton Bay Hotel Singapore is another 5-star hotel located in this beautiful area of the city and one of the best luxury hotels in Singapore! This great accommodation also has a rooftop pool and a bar where you can relax and admire the beautiful view over the city. 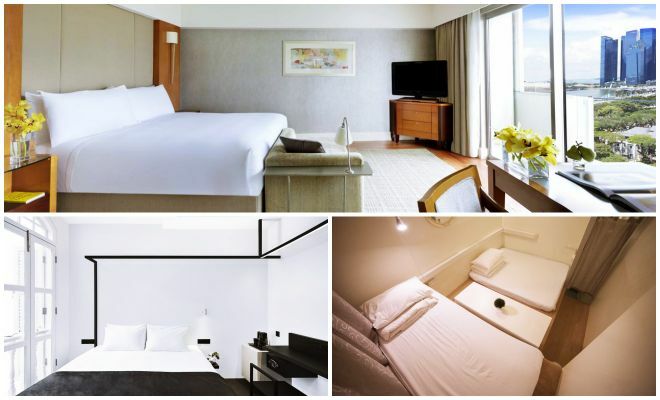 With big windows and luxury facilities, I am sure this hotel will be the perfect choice for your stay in Marina Bay! Robinson Suites is a nice middle-priced option for people who wish to stay in this superb area of Singapore. This accommodation is located only 300 m away from Marina Bay Link Mall and it awaits you with free Wi-Fi, clean rooms and a nice kitchen and seating area. Robinson Condo is my second recommendation because of the tidy and well-decorated rooms. Although it’s a simple apartment hotel, this place offers free Wi-Fi, a flat-screen TV, a nice garden and even a cool outdoor pool! Perfect for a pleasant stay in Singapore for a good value. ZEN Hostel Clarke Quay is a nice budget accommodation that offers tidy, air-conditioned rooms and shared bathrooms. If you choose to stay here, you will be close to many restaurants and attractions in Singapore and you won’t be far from Marina Bay either. Champion Hotel City is another great choice for travelers on a tight budget. This hotel is only 400m away from the Riverside, so you will get to Marina Bay in no time. All rooms come with private bathrooms, flat-screen TVs, kettle, free Wi-Fi and more. If you are searching for the most authentic Singapore experience, then Chinatown should be your first choice! As you might expect, Chinatown is a colorful, vibrant and diverse neighborhood in the city, where different people, religions and cultures are combined in order to create a harmony and to provide an authentic and unaltered Asian experience! 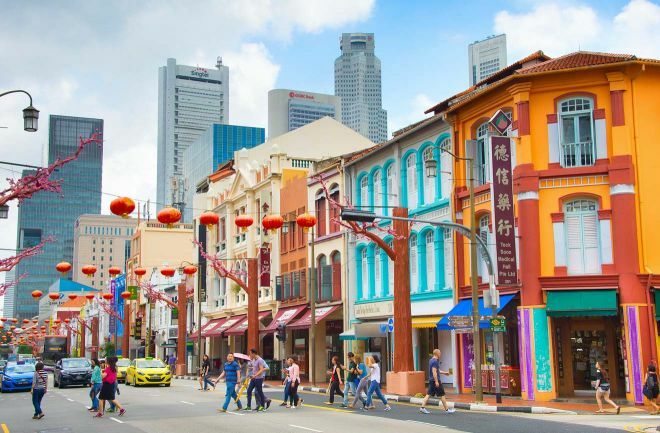 Singapore’s Chinese quarter is a mix of temples and mosques, traditional restaurants and unforgettable nightlife! Besides taking a walk on the colorful streets of Chinatown, some other things you can do there include having a delicious, cheap Asian meal at the numerous street food stalls or at the Chinese Night Market, taking a look into the small, authentic shop houses, visiting the oldest Chinese temple in the city (Thian Hock Keng Temple) and more! You will never get bored in Singapore’s Chinatown, I promise! Parkroyal on Pickering is one of the most gorgeous five-star hotels in Singapore, Chinatown that awaits you with an entire wellness floor that has an outdoor pool, spa, and a gorgeous garden! Their on-site restaurant serves delicious Southeast Asian and International dishes and you can even party in the evenings on top of the hotel at Orchid Club lounge! Oasia Hotel Downtown, Singapore by Far East Hospitality is a gorgeous 27-floor hotel located right in the heart of Chinatown, Singapore. You will surely enjoy the outdoor pool, relaxing terrace, cool bar, and an in-house restaurant. The hotel has an amazing contemporary design and great facilities that will help you feel right at home in Chinatown! The Scarlet Singapore is one of the best middle-priced hotels in Chinatown Singapore with a great value for money. The boutique-style rooms are simply gorgeous and the rooftop restaurant and outdoor pool are a great bonus for a great stay in the city! Plus, the rooms are very clean and nicely decorated! Hotel 1887, The New Opera House was built in 1887 and is a restored opera house transformed into a beautiful hotel! This Chinatown hotel has tidy and air-conditioned rooms and they even have a work desk and all the facilities you will need for a good stay. You can also benefit from the laundry and dry cleaning services and a nice co-working space in case you want to get some work done while in Singapore! The Bohemian Chic is my first recommendation for cheap hotels in Chinatown Singapore. You will be glad to know that this accommodation has a great games room and a nice shared lounge where you can connect and make friends with other people staying there! The rooms are nice and tidy and they have a shared bathroom. MET A Space Pod @ Chinatown offers a unique accommodation experience, as you will stay in air-ventilated pods that have a super contemporary design! Some pods even have a flat-screen TV! The bathrooms are shared and there is complimentary Wi-Fi all around the accommodation. 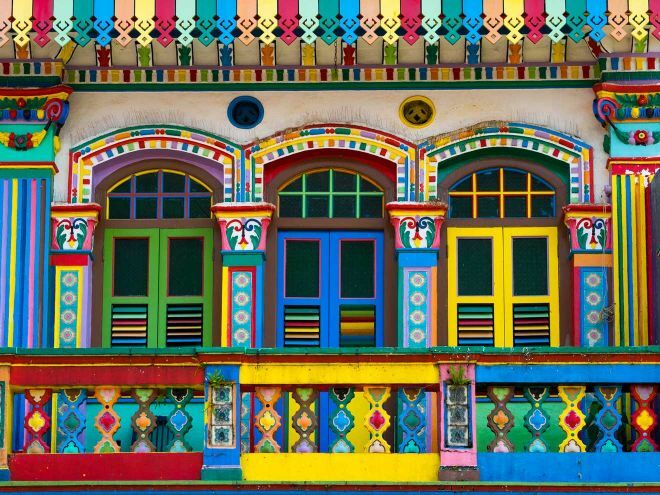 If you want to stroll through colorful shops and buildings and be enticed by exotic smells and traditional music, then Little India is the perfect corner of the city for you! When you first step in “Little India”, Singapore’s Indian neighborhood, you might have the feeling you have stepped into another country. This lively neighborhood is full of colorful houses, curry smell and all kinds of shops that sell traditional Indian spices, fabrics and more. Some activities that you can do in Little India include an authentic, inexpensive shopping experience at Mustafa Shopping Center (open 24/7), a walk on the main street of the neighborhood (Serangoon Road) and, of course, a visit to the oldest Hindu temple in the city – Sri Mariamman Temple! Little India is also a great place for budget travelers and backpackers, as you will find many cheap accommodations and hostels here, as well as more expensive hotels. One Farrer Hotel is a great 5-star accommodation and one of the best hotels in Little India, Singapore, located right in the heart of the neighborhood, above Farrer Park MRT Station. When deciding on which type of accommodation you want, you can choose from spacious rooms, suites, and villas, depending on your budget and preferences. Needless to say that the rooms are simply gorgeous and the service is extremely good! Wanderlust is one of the most beautiful 4-star hotels in Singapore, housed in a charming house from the 1920s. 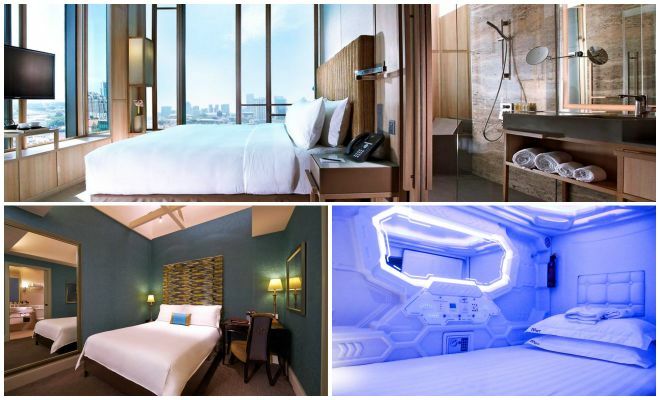 This hotel is actually an experimental boutique hotel showcasing a diverse range of fun themes (such as origami, pop art or space), so expect all rooms to be funky and interesting! Aqueen Heritage Hotel Little India is one of the most wonderful 3-star hotels in Singapore, located only 650m away from Mustafa Centre and 1 km away from City Square Mall. The rooms are clean and tidy and private bathrooms equipped with everything you may need for a pleasant stay in the city. Hotel NuVe Urbane awaits you with free Wi-Fi, flat-screen TV, air-conditioned rooms and a complimentary mini-bar! The rooms are nicely decorated and perfect for a good night’s sleep after a day of exploring the surrounding area. Adamson Lodge is my first budget recommendation in Little India for people who are searching for cheap accommodation in Singapore. This accommodation is only 700m away from Mustafa Centre and it comes with various types of rooms, fit for one, two or six people. Plus, you will also get free Wi-Fi! Nnv Hostel is the best hostel in Singapore if you are searching for a nice place fit for a tight budget. This accommodation has free Wi-Fi, a cool terrace and even a bar! The rooms have shared bathrooms, but all in all this place has a great value for money! If you love designer stores and want to enjoy the best shopping experience of your life, then Orchard neighborhood is the right choice for you! 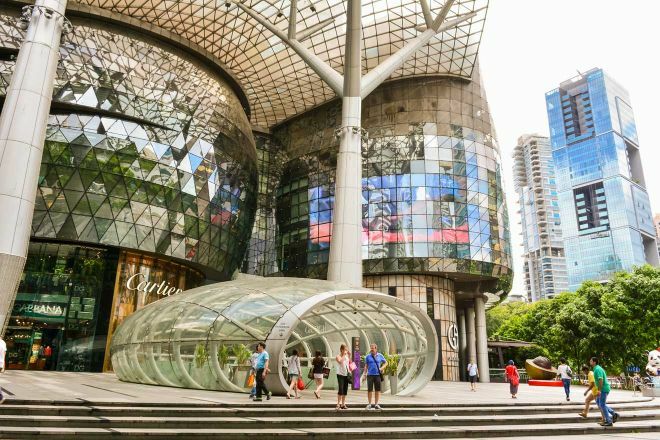 Orchard Boulevard is a famous one-kilometer long street in Singapore where you can shop until you drop in amazing stores for every taste – from high-end designer shops to small, inexpensive ones. 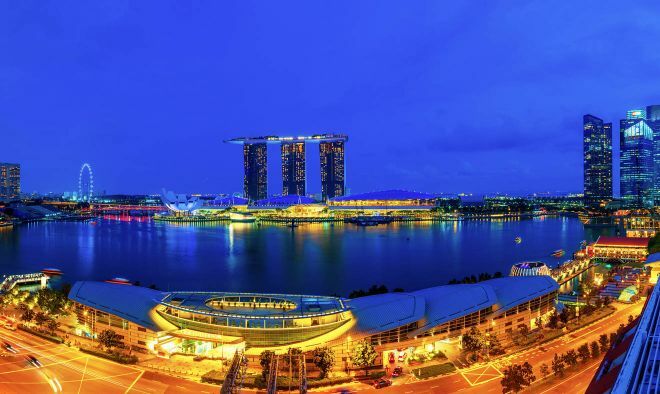 Thus, Orchard shopping centre is the shopping core of Singapore and the place where you will find a wide range of hotels for different tastes and budgets. Of course, there are also many great restaurants, cinemas and other entertainment sources in this area, so you will be close to whatever you may need. If you get bored of shopping, you can visit the National Museum, the National Orchid Garden or the beautiful National Orchid Garden! Four Seasons Hotel Singapore is my first recommendation for luxury travelers and one of the best hotels in Orchard Road Singapore. This beautiful 5-star hotel awaits you with spacious, sunny rooms and world-class service that will make you feel amazing. During your stay, you can benefit from spa treatments, you can use the 24-hour gym or you can play tennis if you want. 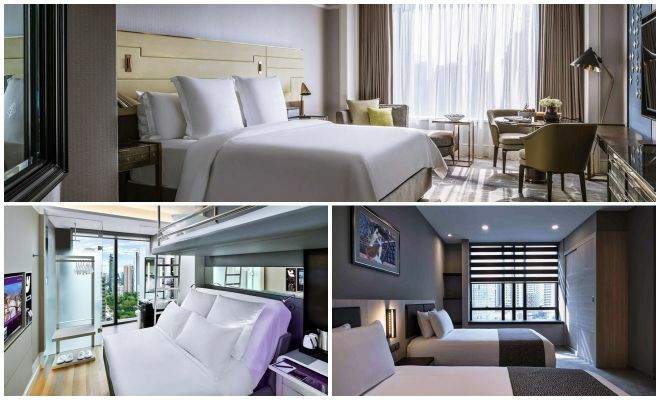 The Quincy Hotel by Far East Hospitality is a gorgeous 4-star hotel located only 5-minutes away from Orchard Boulevard, the shopping heaven. One of the best parts about this hotel is the infinity glass pool that offers an amazing view over the city! The rooms are simply amazing and I am sure you will feel like a royalty there! YOTEL Singapore Orchard Road is a great Orchard Road hotel with accessible prices and a good value. The in-house restaurant provides delicious meals and you can relax in the outdoor pool after a day of exploring this wonderful city. All rooms have a flat-screen TV, free Wi-Fi, and even a seating area. Holiday Inn Singapore Orchard City Centre is one of the best middle-priced hotels in Orchard, Singapore, situated right along Orchard Boulevard, so you will be close to all those great shops! You can also use the rooftop pool and fitness center during your stay, which is always a nice bonus! Alocassia Serviced Apartments is my first choice for a great budget stay near Orchard Boulevard. This accommodation provides private bathrooms, kitchenette, free Wi-Fi and free private parking, which will assure you a pleasant stay in the city. Orchard Grand Court is a beautiful accommodation located only 5-minutes away from Orchard Boulevard. During your stay there, you can relax at their sauna, on-site fitness center, while also benefitting from free Wi-Fi and an amazing on-site restaurant. The only downside is that you can’t book this hotel for less than 7 nights in a row. 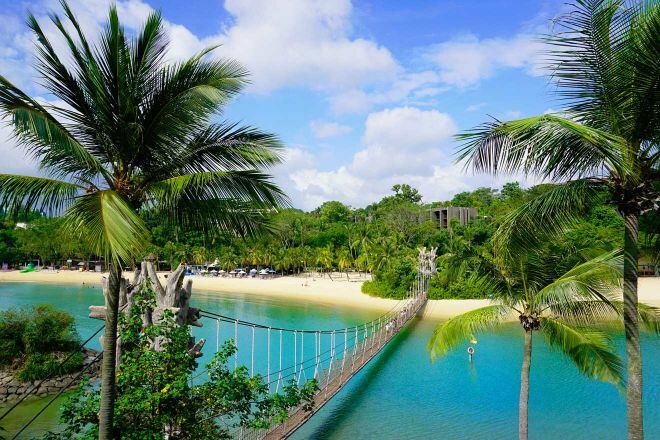 If you love golden beaches, peaceful islands and water parks and you want to be a bit more far away from the hustle and bustle of the city, then Sentosa might be the perfect choice for you! Sentosa is actually a small island located in the Southern part of Singapore. This beautiful place will provide a wide variety of activities, from strolling on the white sand beaches to visiting marine museums or admiring the landscape from a cable car. Some other Sentosa attractions that you can see here include visiting the biggest oceanarium in the world (S.E.A. Aquarium), taking the perfect picture from Tiger Sky Tower, going to Sentosa water park, snorkeling or even golfing! And, of course, you have to visit Universal Studios, one of the best things to do on the island! Santosa is my recommendation for any kind of traveler, including families traveling with children, as this magical place is fit for both adults and kids. Here are the hotels that I recommended, all of them with great reviews and facilities. NOTE: Unfortunately, for Sentosa Island there aren’t any good middle-priced or budget hotels, as it is mostly a luxurious destination. Capella Singapore is an amazing 5-star hotel on the island and the best place to stay in Singapore if you love the beach! This hotel provides world-class services and is located only 5 minutes away from the beach, within the rainforests of the island. It awaits you with 3 outdoor pools and an excellent spa where you can relax and unwind at the end of the day. The décor is carefully chosen and all rooms have sea or garden views. 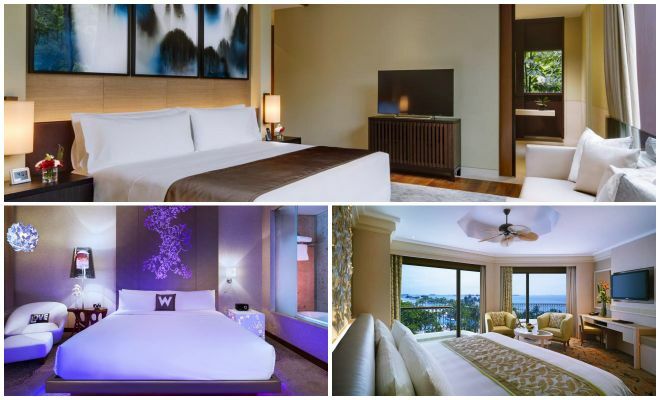 W Singapore – Sentosa Cove is one of the top Sentosa island hotels and it has a great pool, spa and fitness center that you can use during your stay. Plus, you can use their shuttle services to get to the most important attractions in Singapore. Plus, you have 4 dining options and many other amazing facilities! Shangri-La’s Rasa Sentosa Singapore Resort & Spa is located super close to the beach and it offers high-quality services for a luxury stay on the island. This is an amazing Sentosa resort and spa and the outdoor pool, spa and fitness center are great! Each room has a private balcony with splendid views and the all-day buffet is delicious! Plus, this is one of the best child-friendly hotels in Singapore! Although Singapore is so unique and diverse it can provide fun activities for all kinds of young people, it is also a great place for a family vacation! 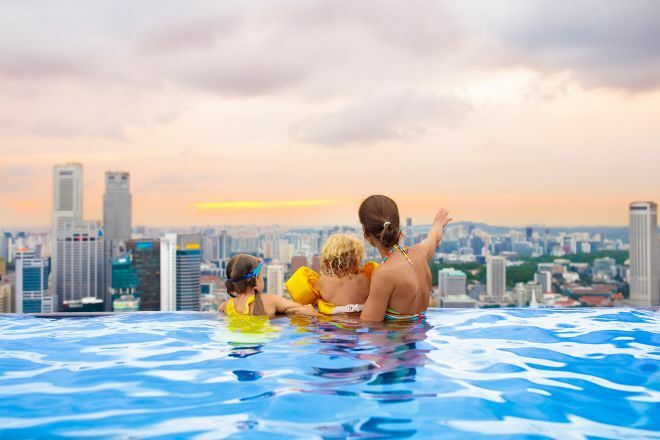 If you are visiting Singapore with kids, you can find a wide range of amazing, child-friendly hotels scattered all around the city. Fairmont Singapore is an excellent luxury hotel and an ideal family accommodation in Singapore. You can, of course, choose from different types of rooms depending on your preferences and the number of members in your family, but regardless of your choice, you will be greeted with excellent service, a friendly staff and gorgeous rooms! InterContinental Singapore is my second luxury recommendation for Singapore and a beautiful child-friendly 5-star hotel in the city. This hotel is not far from Marina Bay area and the rooms are decorated in a very stylish way. Plus, the rooftop garden is a very nice place to relax and admire the city! Please read more about my personal experience staying in InterContinental here. Hotel Mono is perfect for families who are searching for a good middle-priced hotel that offers great value for money. This hotel was opened in 2016 and it lays right in the heart of Singapore Chinatown, so you will be sure there’s always something to do in the surrounding area! The rooms are spacious, clean and simply amazing! Hotel Mi is my other recommendation for a middle-priced hotel fit for families with children. This hotel is located close to Singapore Art Museum and it serves a delicious continental breakfast each morning. Blanc Inn is a great option and one of the most convenient cheap hotels in Singapore for a family! It’s perfect if you are traveling on a tight budget and still want to make the best out of your Singapore vacation. This hostel is located close to Little India quarter and it awaits you with pretty rooms, free Wi-Fi and shared bathroom facilities. Ark Hostel has a nice shared lounge and free Wi-Fi all around the accommodation. The rooms are tiny and fit for a good night’s sleep. Plus, you can even benefit from laundry facilities at the accommodation for an extra fee! All in all, this hostel offers good service for its price. If you are in Singapore only for a short stay, then you may be interested in booking a room near Changi Airport. Crowne Plaza Changi Airport is an amazing 5-star hotel that will provide an excellent stay at the airport. The rooms are super stylish and you can also relax in the outdoor pool or use the fitness center during your stay there. Plus, the rooms are very spacious and you can choose between 2 restaurants! Changi Cove is perfect for people searching for a middle-priced hotel at the airport. Although located 10 km away from the airport, this hotel is a very good choice with a great value for money. The rooms are very cozy and each of them has its own private bathroom. Aerotel Transit Hotel, Terminal 1 is my recommendation for a budget stay at Changi Airport and the perfect option for a short stay at the airport. This hotel is adjacent to Gate D41 and you can book accommodation there by hour, which is very convenient. Plus, they even have an outdoor pool, a bar, a library and even a fitness center! That was my list of neighborhood recommendations for Singapore, with carefully chosen hotels for each of them. 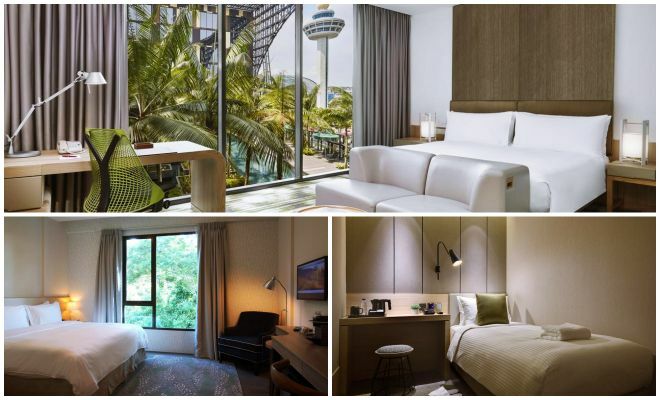 I also recommended here some great hotels for families traveling to Singapore and even airport hotels in case you are staying in the city only for a little bit. I hope this list of hotels grouped by budget will help you find the perfect accommodation in Singapore for you and your preferences. 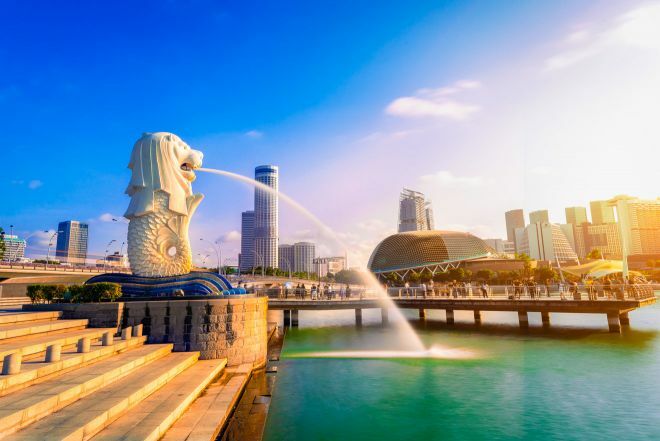 Singapore is a great destination all year round, as the weather is good and you will never run out of things to do, so it is totally worth it to plan a vacation there! If you need some inspiration for your Singapore holiday, you can read my article about 13 Best Things To Do In Singapore! As always, if you have any questions you can leave them in the comments below, I am happy to hear from my readers!